BUSINESS leaders have signed-up to a prestigious industry programme taking North Wales companies to even greater heights. Richard Williams, Director of Williams Financial Planning in Wrexham, and Deeside-based Comtek Network Systems’ HR Director Christine Sheibani are among the cohort to begin the new 20Twenty Business Growth Programme in Rossett yesterday (Wednesday). Up to 30 senior managers and executives are in attendance on the course, which is 70% funded by the European Social Fund via Welsh Government. 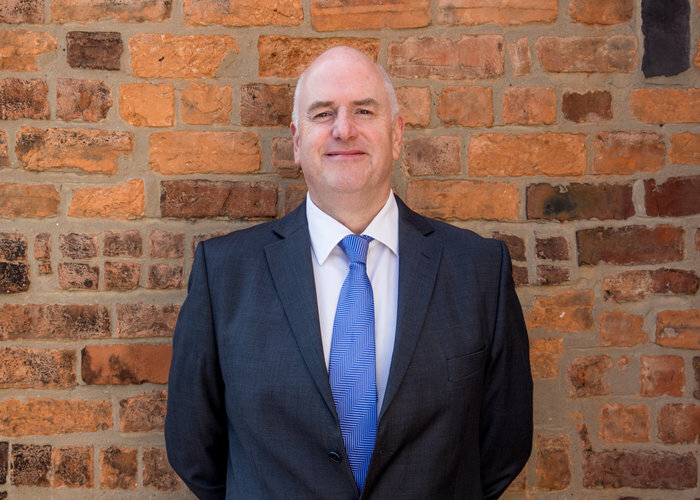 Richard (pictured) has been at the helm of the family firm for 10 years – alongside business partner Lee – and joined them in 1991. He says the secret of their success is to keep learning and staying at the forefront of advances in the finance sector. “We are always looking to better ourselves and the 20Twenty programme will give me the opportunity to work with like-minded individuals and develop my leadership skills and business planning strategies,” he said. Richard, a qualified coach and referee at Wrexham Rugby Club, added: “We have developed a great team and had a very successful 2018. We have some fantastic opportunities in 2019 and want to hit the ground running to make the most of them. Christine Sheibani is also confident the course will benefit their organisation, a pan-European provider of repairs, spares and support to the telecoms, datacoms and network service arena. She has been with the company – founded by her entrepreneur husband Askar 30 years ago – since 2005. “The Comtek group has grown significantly and now incorporates Sorrento Networks UK and Sorrento Inc. We have around 60 workers in Deeside and smaller offices in Belfast, Reading, San Francisco, Frankfurt and Amsterdam,” she said. “Our engineers need to keep abreast of technology and constantly update their knowledge of an ever-increasing range of repairs, so across all departments personal development is key, including human resources (HR). “As a joint owner of the business I need to have sufficient knowledge in all areas of what we do in order to understand the impact of the decisions being made. Christine added: “I particularly want to learn from the finance modules of the course as this is something which I have not formally studied before. “I also believe that learning from the other businesses on the course will be a great opportunity and look forward to hearing the motivational speakers which are planned.